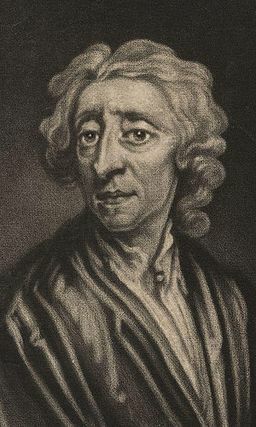 Born in England, John Locke was a persistent champion of natural rights—the idea that each person owns himself and should have certain liberties that cannot be expropriated by the state or anyone else. When someone labors for a productive end, the results become that person’s property, reasoned Locke. Locke also believed that governments should not regulate interest rates. In a pamphlet titled Considerations of the Consequences of the Lowering of Interest, Locke opposed a bill before Parliament to lower the maximum legal interest rate from 6 percent to 4 percent. Because interest is a price, and because all prices are determined by the laws of nature, he reasoned, ceilings on interest rates would be counterproductive. People would evade the ceiling, and the costs of evasion would drive interest rates even higher than they would have been without the ceiling. Locke’s reasoning on the subject, sophisticated for his era, has withstood the test of time: economists make the same objection to controls on interest rates today (see interest rates, price controls). Locke also sketched out a quantity theory of money, which held that the value of money is inversely related to the quantity of money in circulation. Locke erroneously believed that a country was in danger of falling into depression if its gold inflows from trade fell relative to those of its trade partners (see Mercantilism). What he did not realize, and what no one realized until David Hume pointed it out, was that gold flows cannot get out of line with trade flows. If “too little” gold came into Britain relative to gold inflows to other countries, for example (Locke assumed that the supply of gold would grow relative to the volume of trade), then British goods would become cheap relative to other countries’ goods, causing more gold to flow to England from other countries. 1690. Two Treatises of Government. 1691. Some Considerations of the Consequences of the Lowering of Interest and Raising the Value of Money. 1696. Several Papers Relating to Money, Interest and Trade, et cetera.